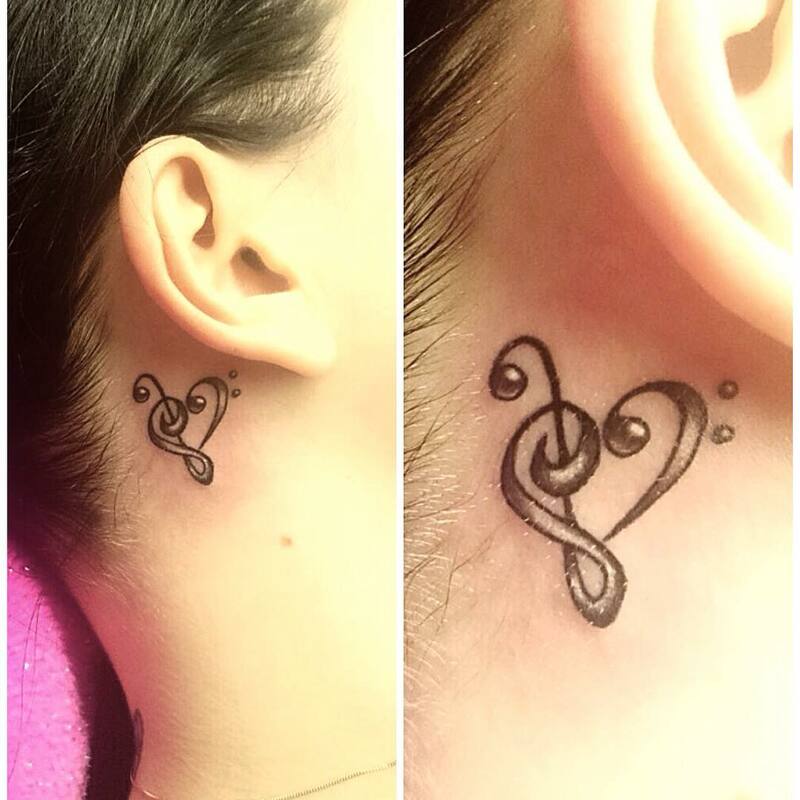 There has been a long term connection between music and tattoos. 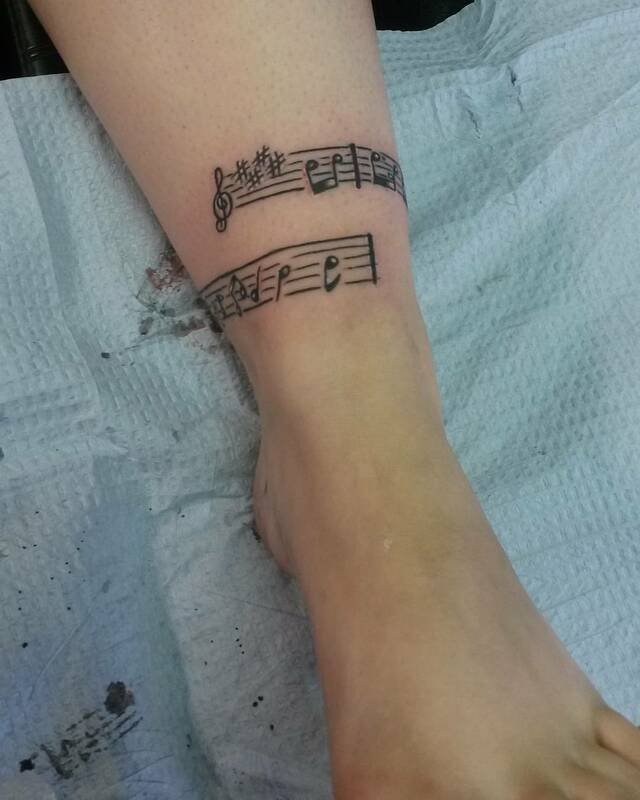 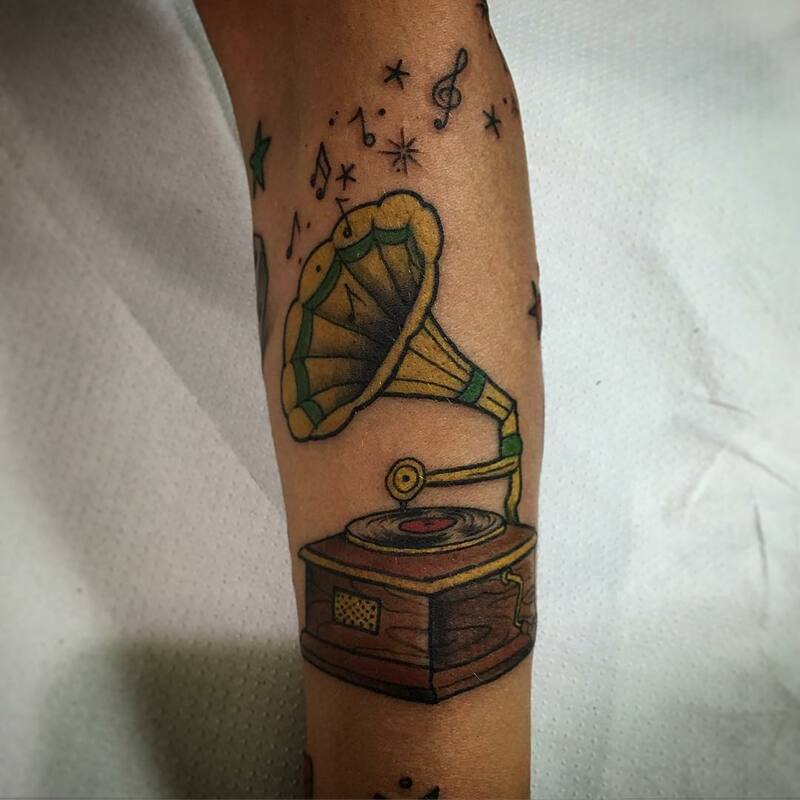 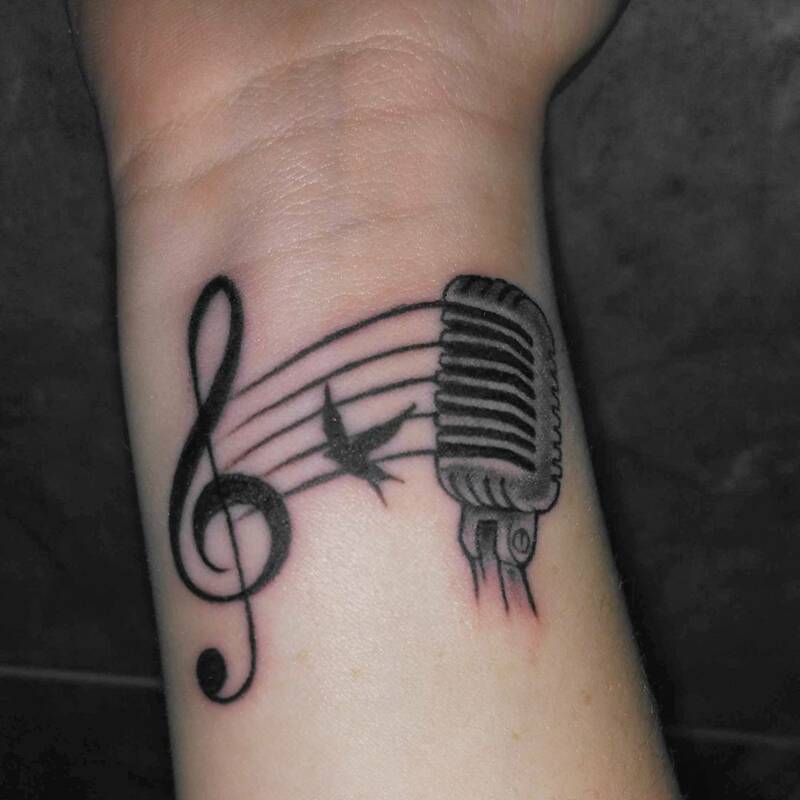 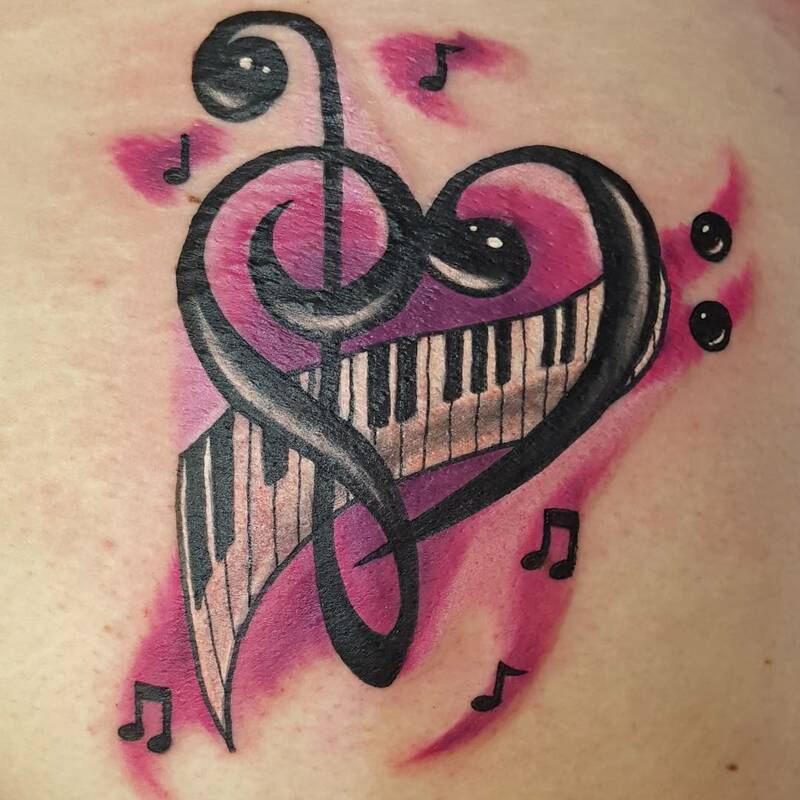 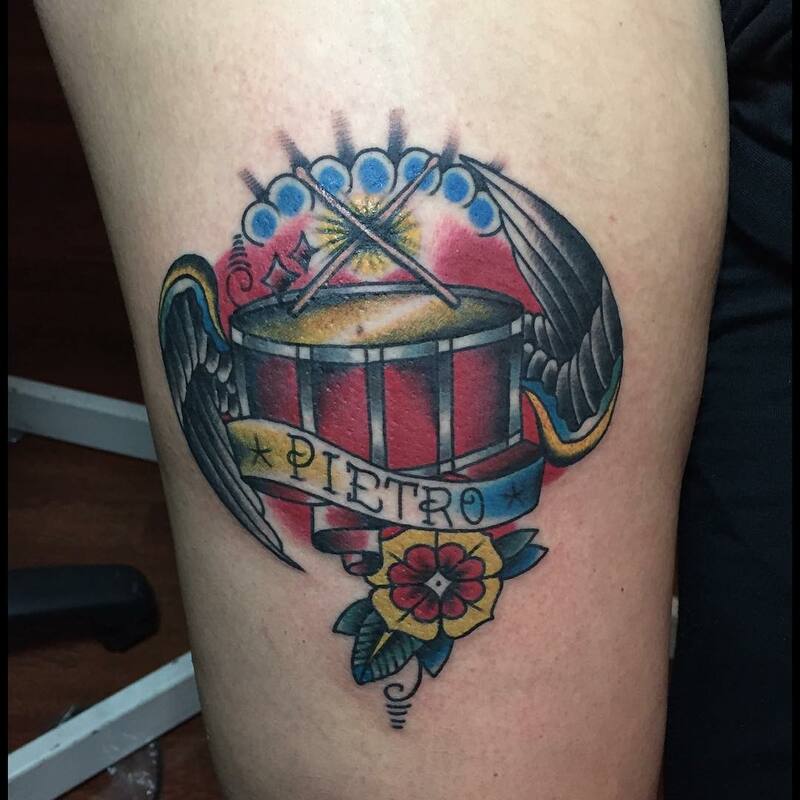 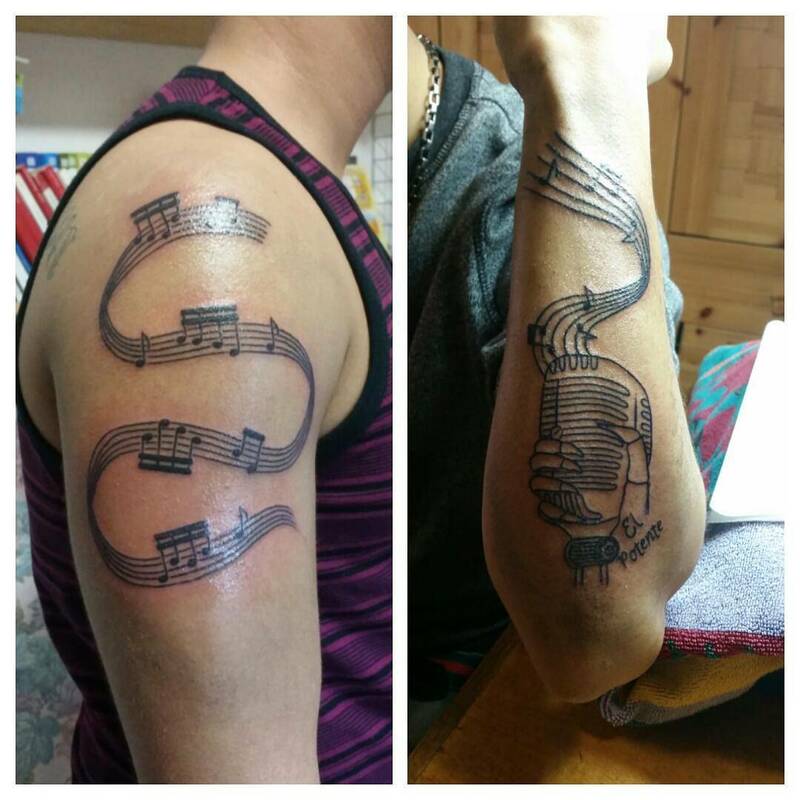 Music lovers and musicians have the passion to show their love and respect for music through their tattoos. 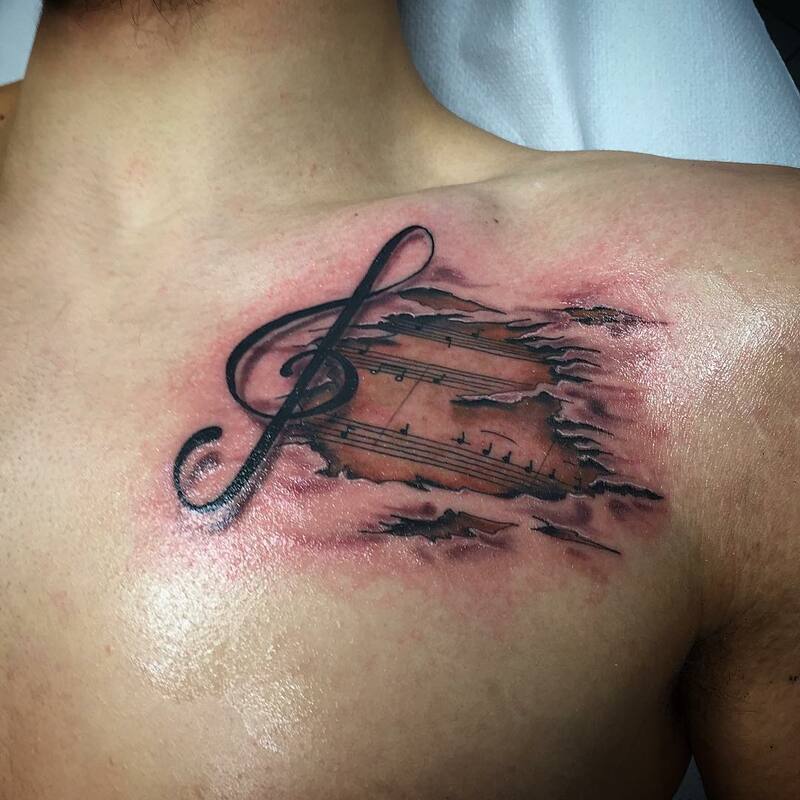 Many of us think that music is a way to express ourselves and tattoos are one the best ways to exhibit the same. 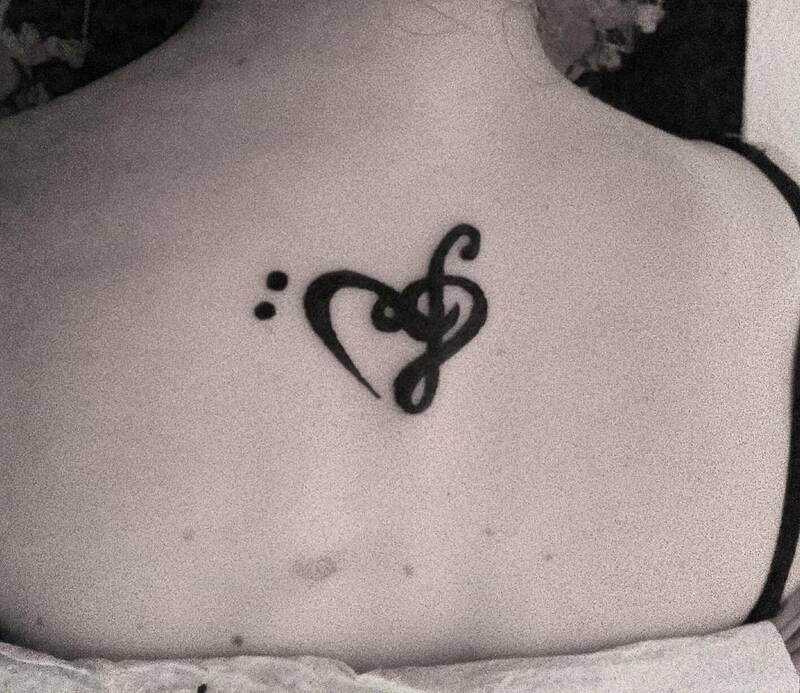 Music always gives company whenever you are alone or sad or even happy. 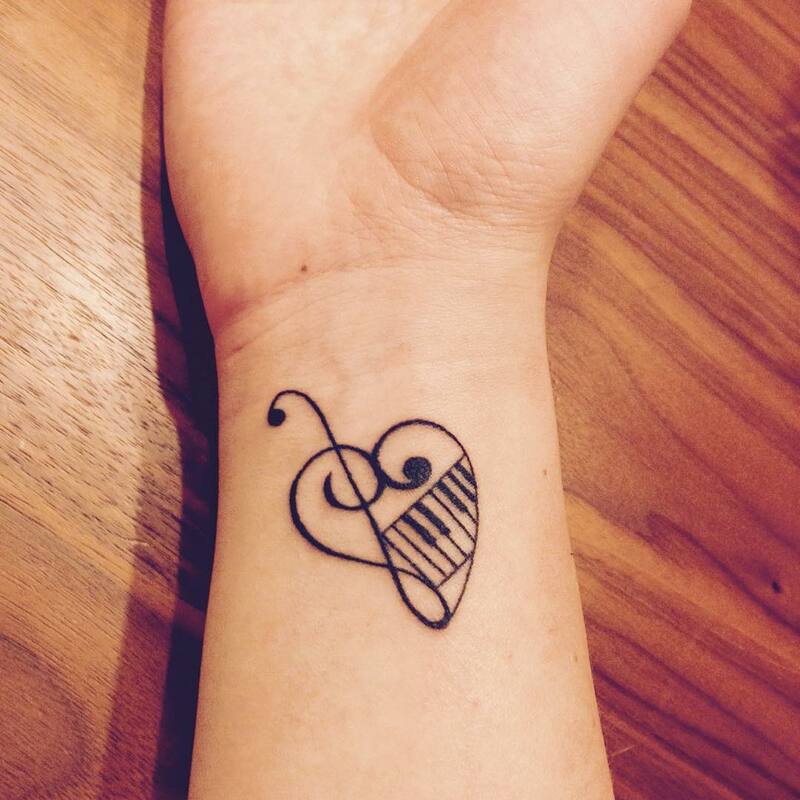 It is the best way to express your feeling which otherwise might be a little difficult to express. 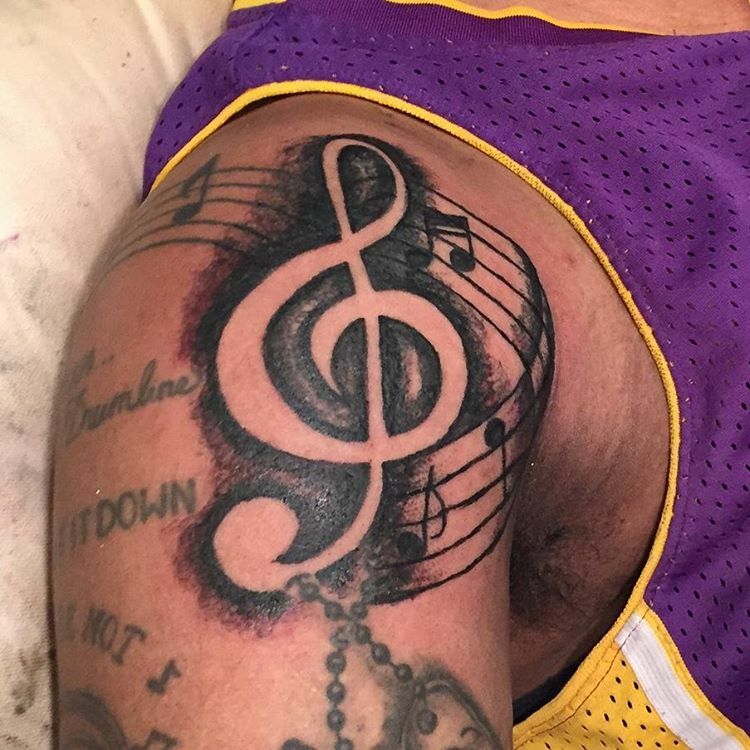 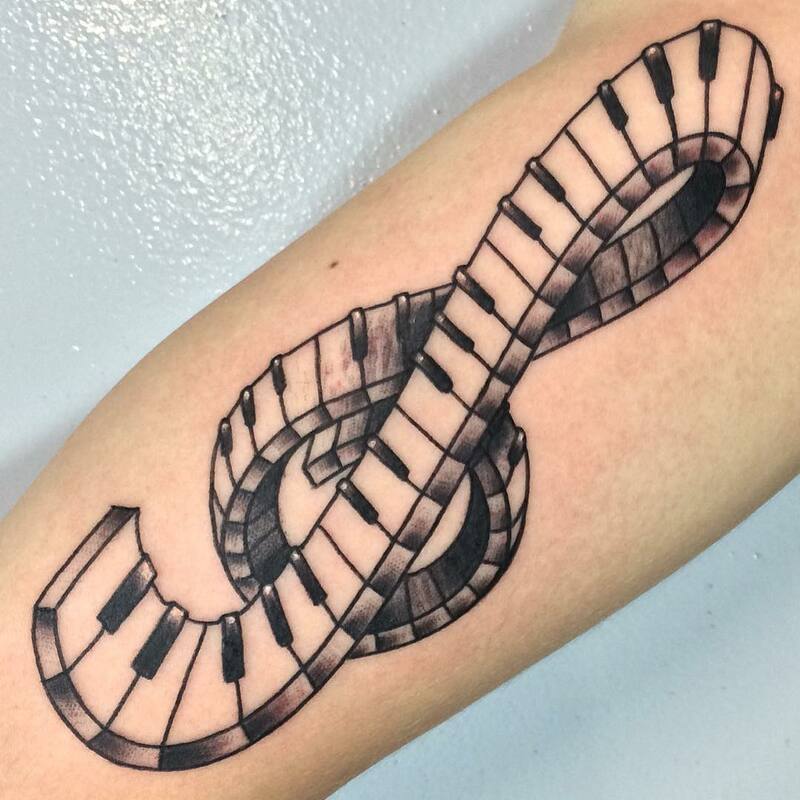 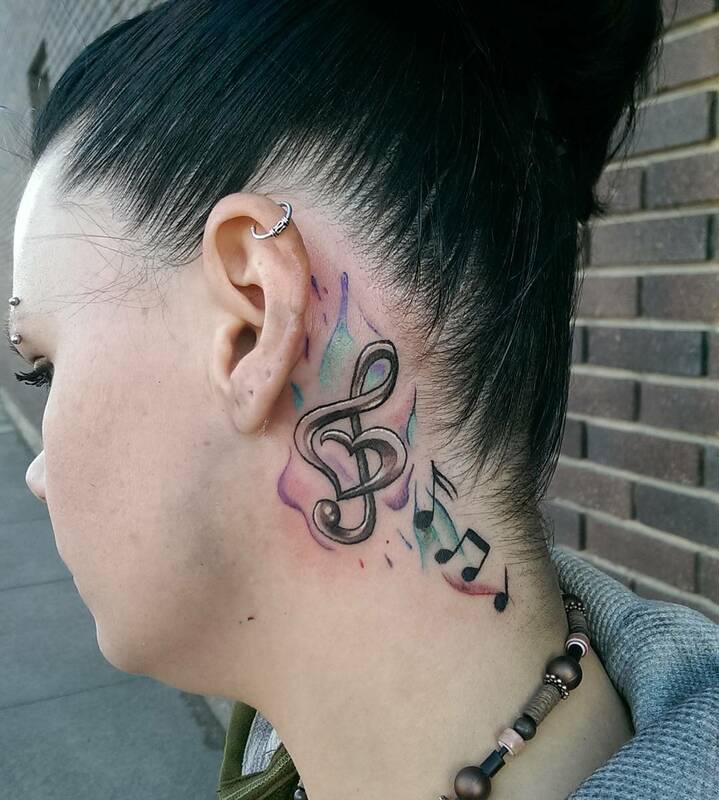 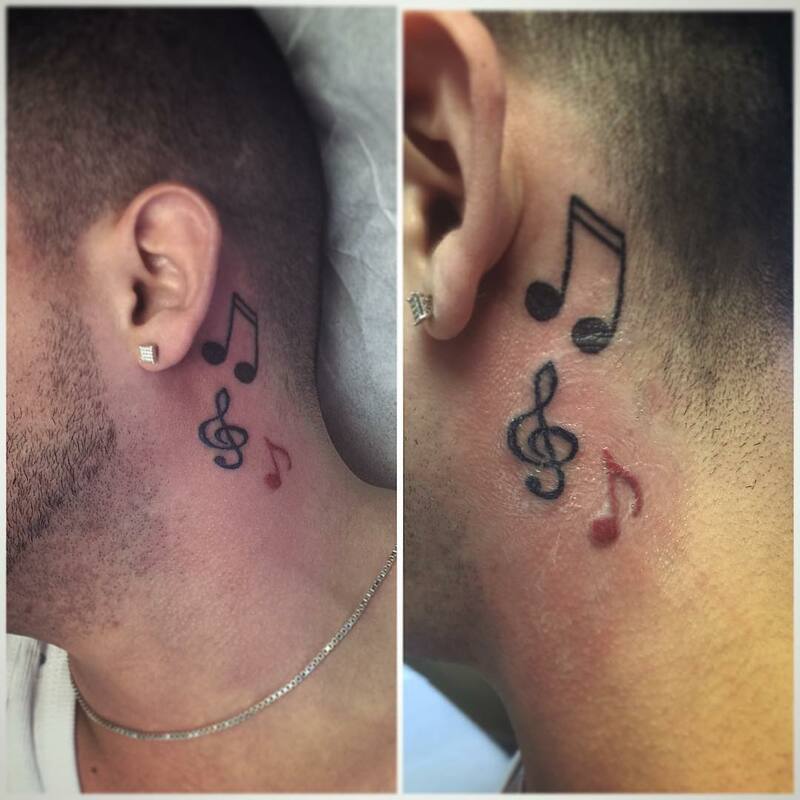 There are many people who love to get musical design tattoos to get inked on them. 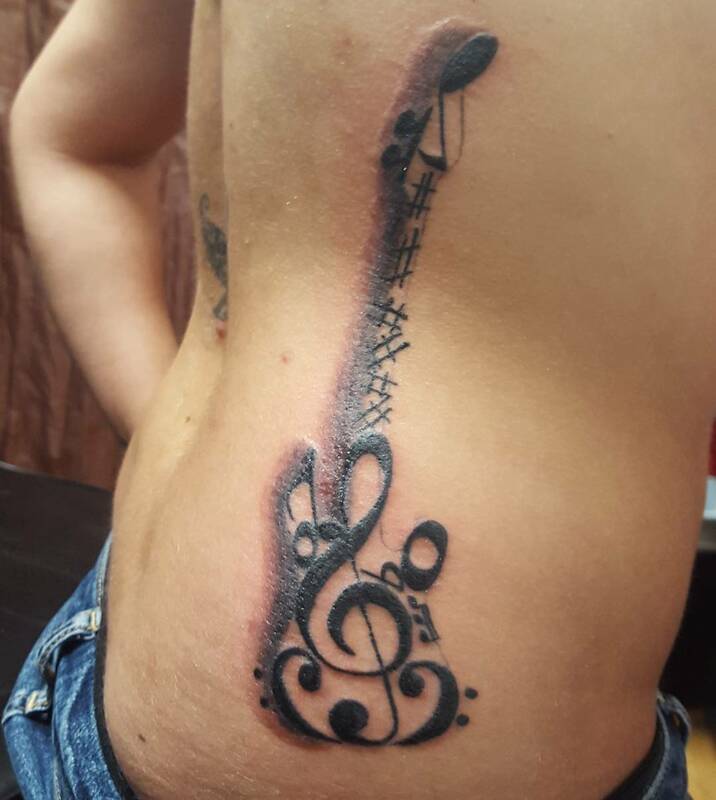 There are many tattoo designs available now a days and it’s a piece of cake to find that perfect tattoo for you! 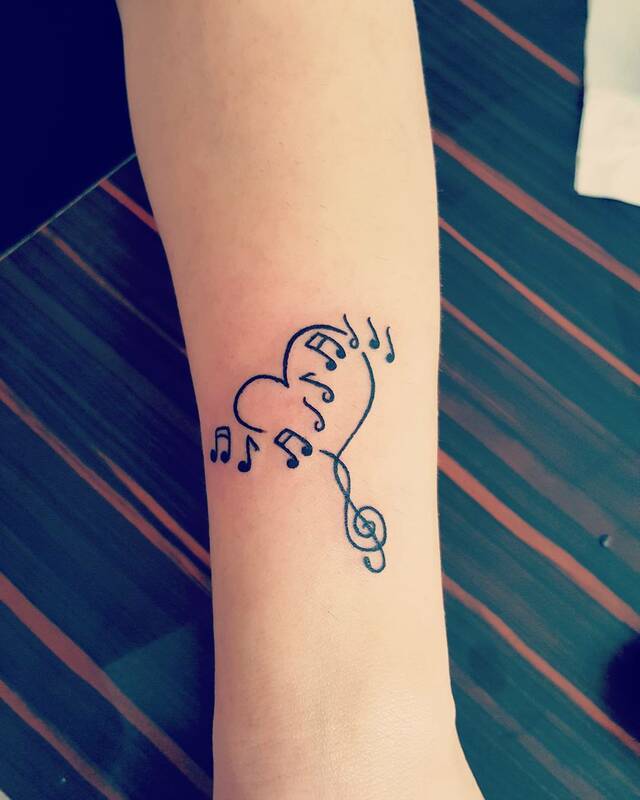 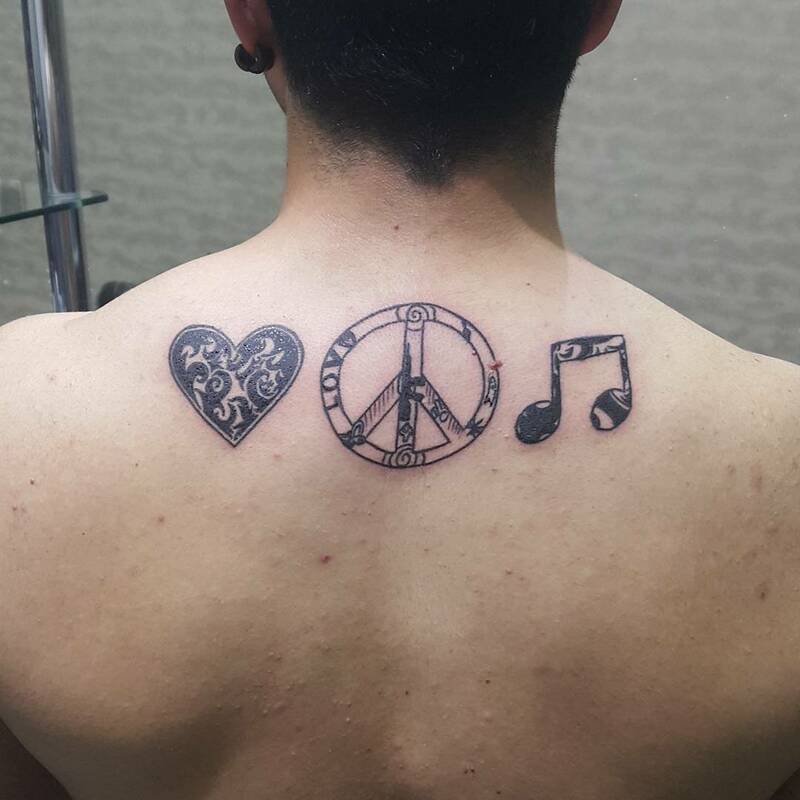 Big or small- music tattoos look amazing on any part of the body, be it back, upper chest, arms, biceps, legs, waist or even back of the ear. 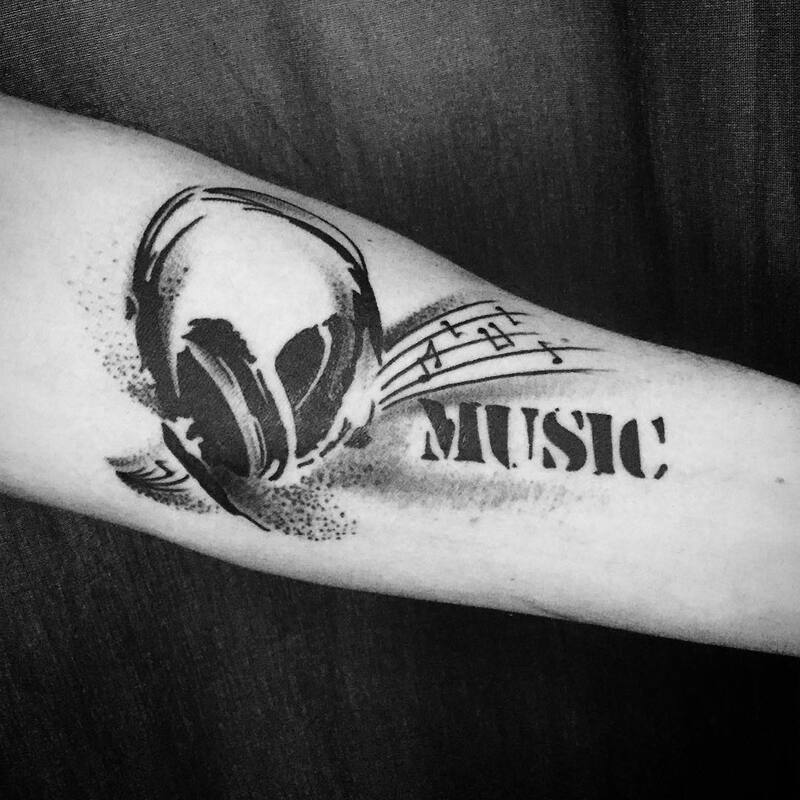 Apart from the above mentioned types of music tattoos, such tattoos can even be more creative and innovative. 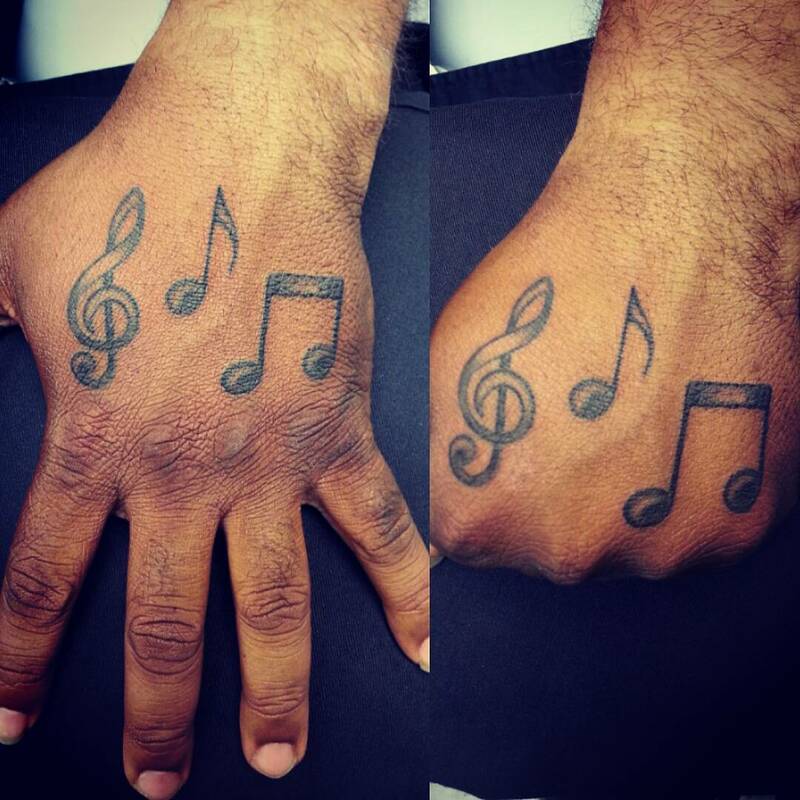 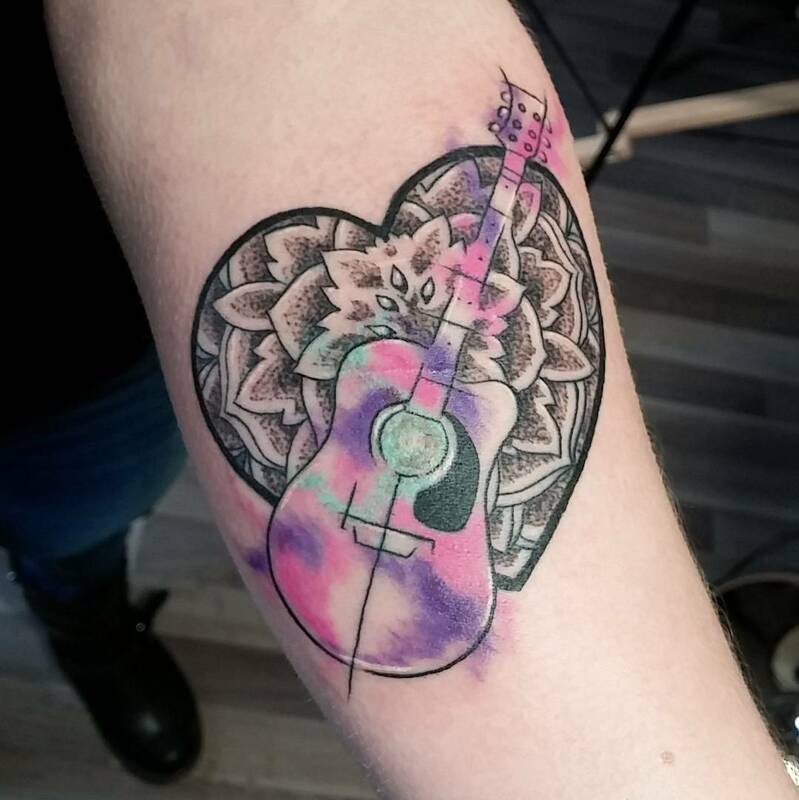 So, as I said there a plenty of musical tattoos designs out there for you, you just need to find that perfect one for yourself!! 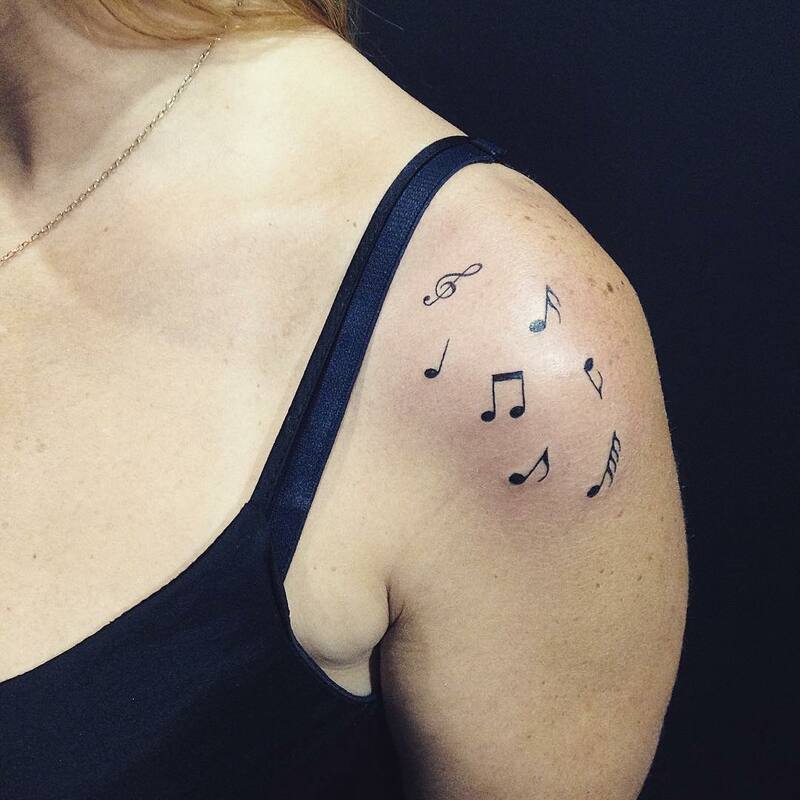 This design is very much in vogue with music lovers loves drawing the music quote of their favourite songs. 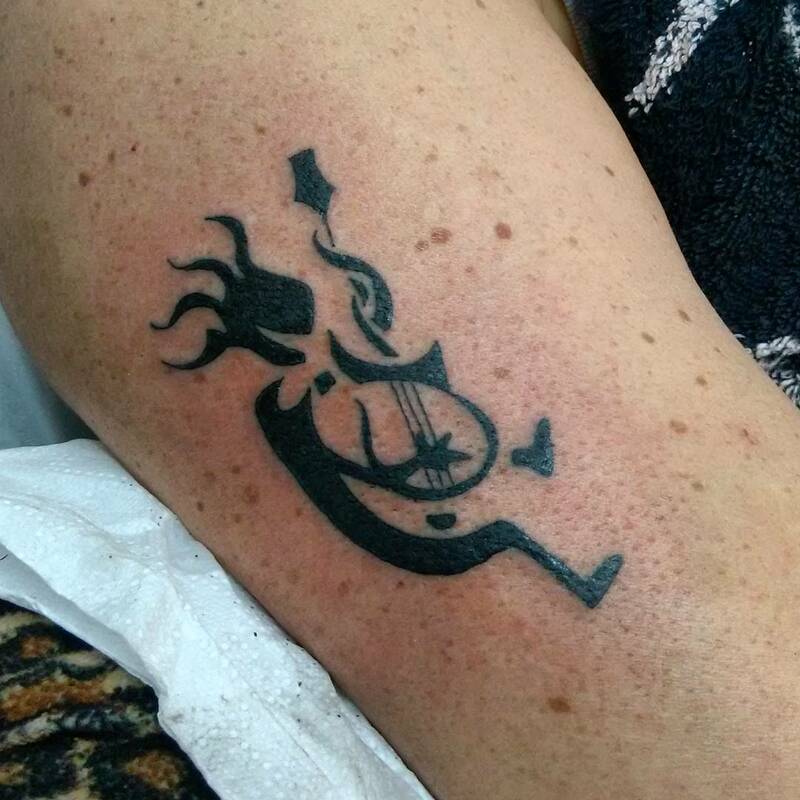 People love to depict different musical instruments like guitar, piano, violin and various other instruments into their body to embrace the music world with them always. 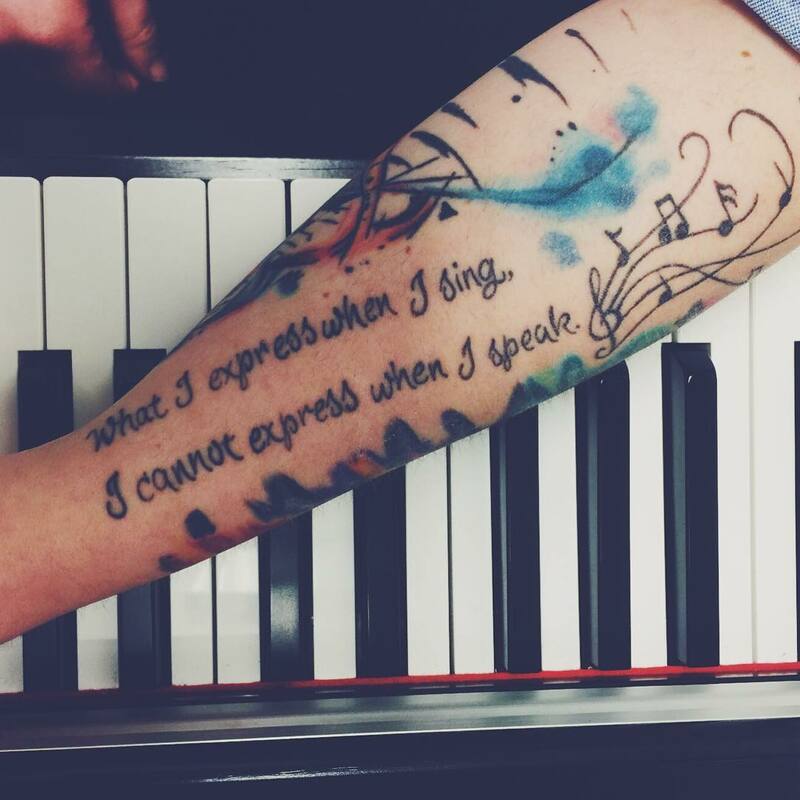 You can include the quotes that linger in your heart all the time. 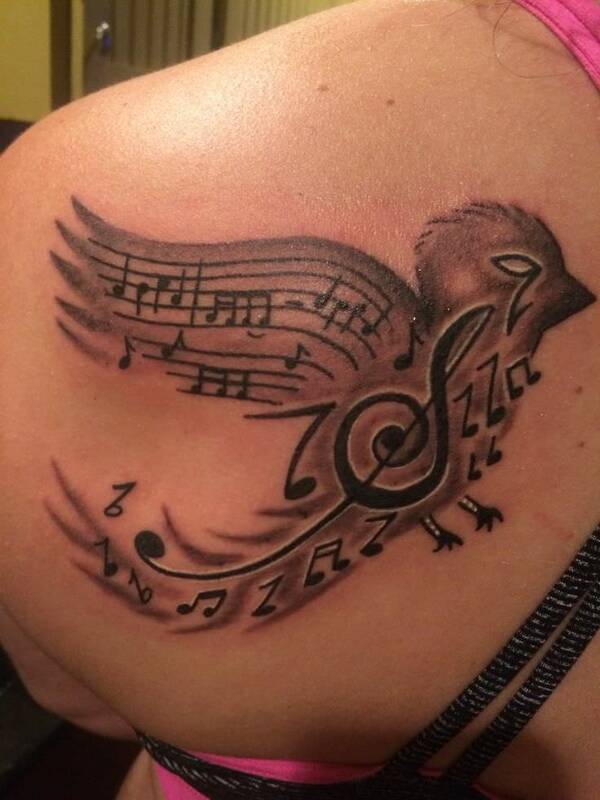 This design looks feminine and charming and is just apt for nature lovers. 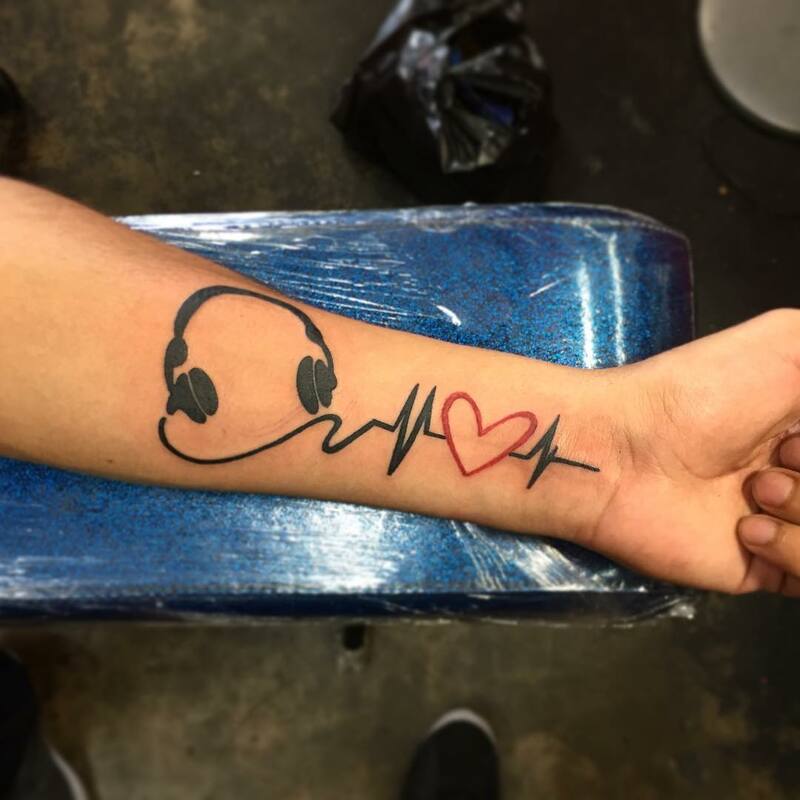 Music and heart go well hand in hand showing your love for music. 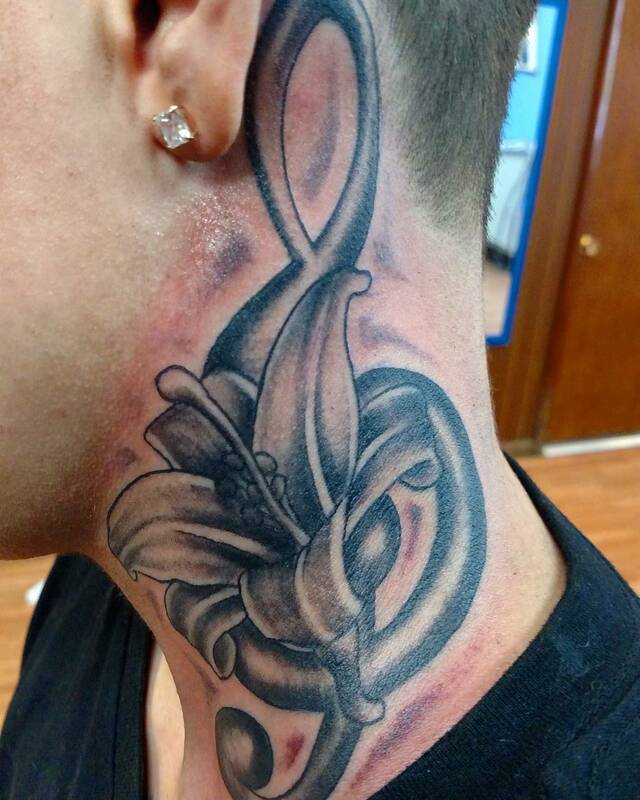 This design is stunningly enticing and goes well in the world of women.